Concert in Central Park, 1966. 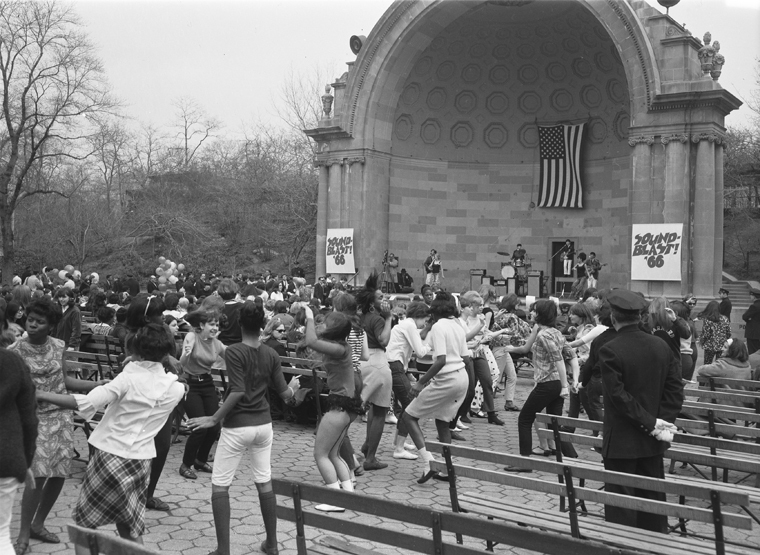 Courtesy of the New York City Parks Photo Archive. Appointed in December 1965, curator Thomas P. F. Hoving (1931–2009) served as Parks Commissioner under New York City Mayor John V. Lindsay for a brief but sensational fourteen months. 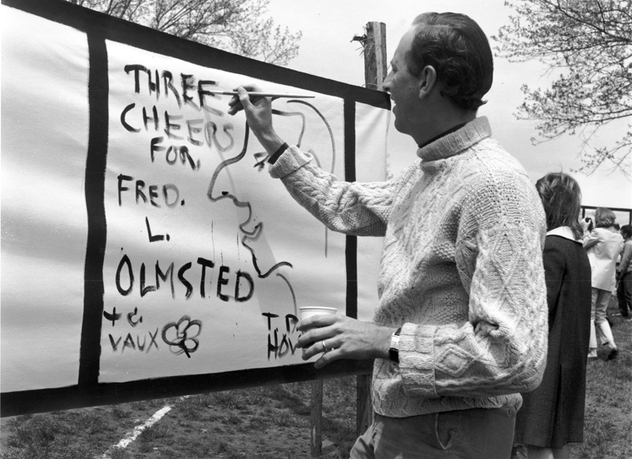 Hoving's civic policies and wildly popular event programs—known as "Hoving's Happenings"—transformed the city's public spaces into frenetic landscapes of mass gathering and spectacle, evidenced by his renaming of the "Department of Parks" to include "and Recreation." 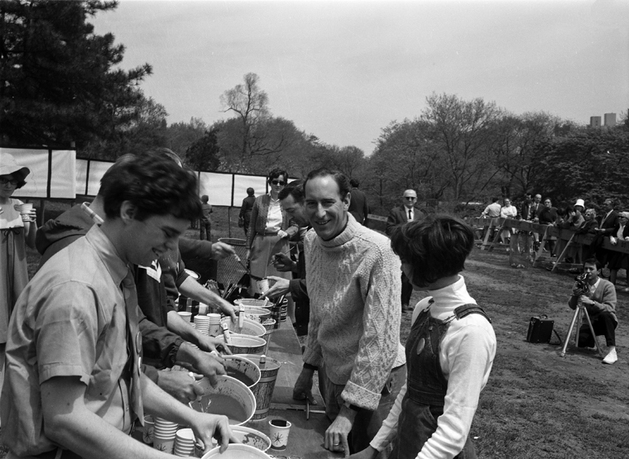 Adopting a curatorial framework to mediate urban social relations, Hoving appropriated Allan Kaprow's idiom of performance art to introduce modes of participatory citizenship that were both aesthetically progressive and ripe for privatization—a precarious balance that later defined his tenure as director of the Metropolitan Museum of Art (1967–77). This research analyzes Hoving's Parks projects within a broader historical and socio-aesthetic context to argue that his curatorial disposition prefigured an "experience economy" urbanism that continues to shape the contemporary city. David Sadighian is a doctoral student in the Department of History of Art and Architecture at Harvard University. His research investigates the evolution of the public sphere as shaped by spatial practices across disciplinary boundaries, a subject he explored in two recent publications: the architectural journal Perspecta 44: Domain (coedited with Tala Gharagozlou, MIT Press, 2011) and the retrospective monograph Kevin Roche: Architecture As Environment (ed. Eeva-Liisa Pelkonen, Yale Press, 2011), for which he authored the essay "Museums Without Walls." While a student at Yale (BA '07, MED '10), he coorganized retrospective exhibitions on Venturi Scott Brown and Associates and Kevin Roche John Dinkeloo and Associates. David worked as a collection specialist in the The Museum of Modern Art's Department of Painting and Sculpture prior to his doctoral studies.